On June 26th we celebrated the 17th Anniversary of Natasha’s “Heart & Lungs” Transplant. To mark this occasion, Natasha successfully completed 10,000 steps+ per day challenge for the whole of June. 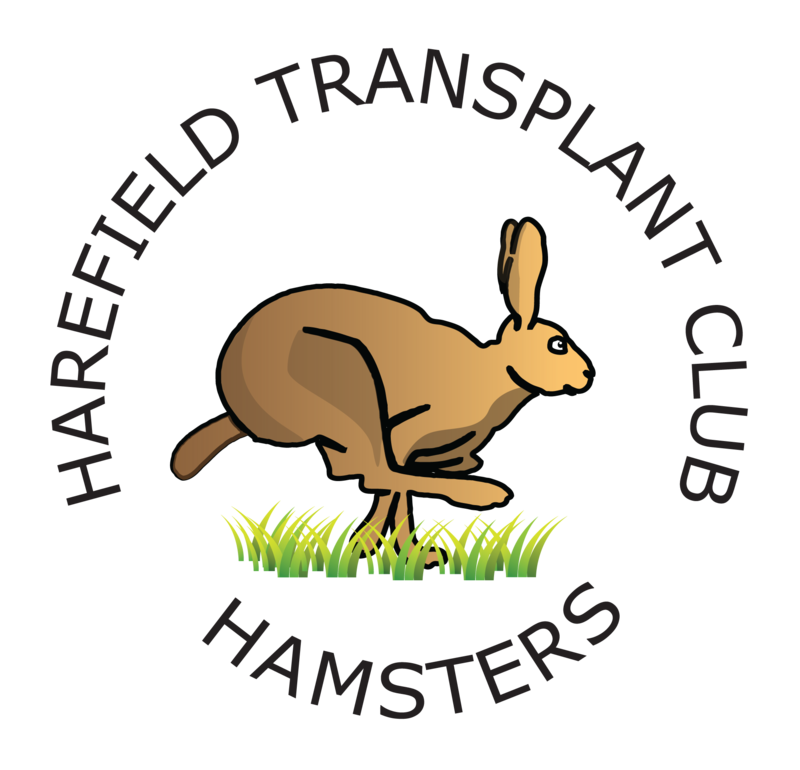 As a family and our way of showing our appreciation to Harefield Hospital we are arranging a “17th TRANSPLANT ANNIVERSARY SPECTACULAR” to support the ongoing work of the Harefield Hospital Transplant Club, giving much appreciated support to both mature and new transplantees as well as advice for those waiting patiently on the list. 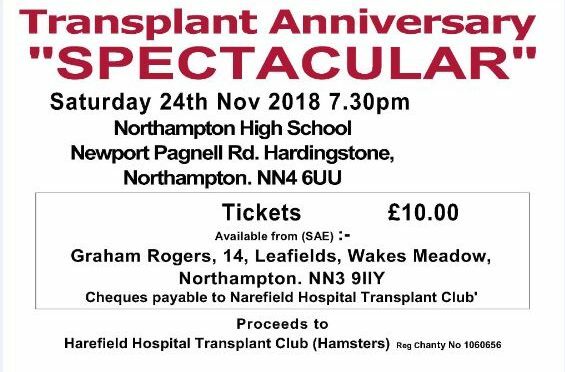 The evening takes place at Northampton High School, Newport Pagnell Rd, Hardingstone, Northampton. 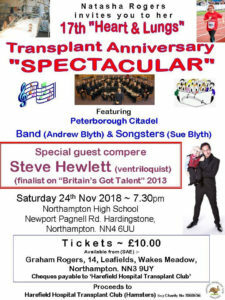 NN4 6UU on Sat 24th Nov @ 7.30pm Tickets will cost just £10.